Some pallet projects are extremely simple and require very little effort and almost no prior knowledge of how to work with wood. A few basic tools, a creative mind and some free time is all you need. 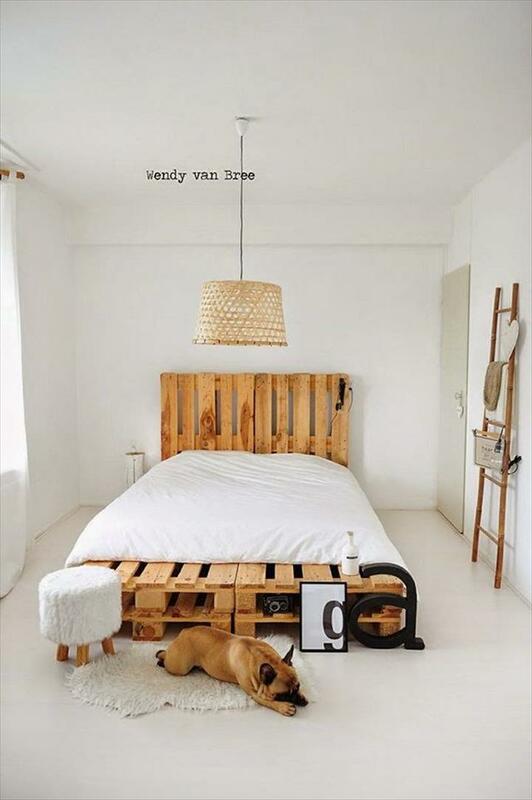 The incredible versatility of wood pallets allows you to repurpose them into just about anything. That means you can build furniture, accessories and a lot of other useful things for close to nothing since you can practically get the pallets for free (or at a very cheap price). Check out these projects if you don’t believe us. 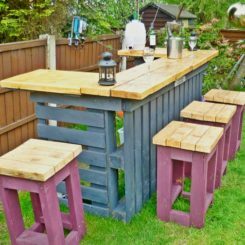 You can use pallets to make all sorts of useful things for your home and garden, things like planters and even furniture. 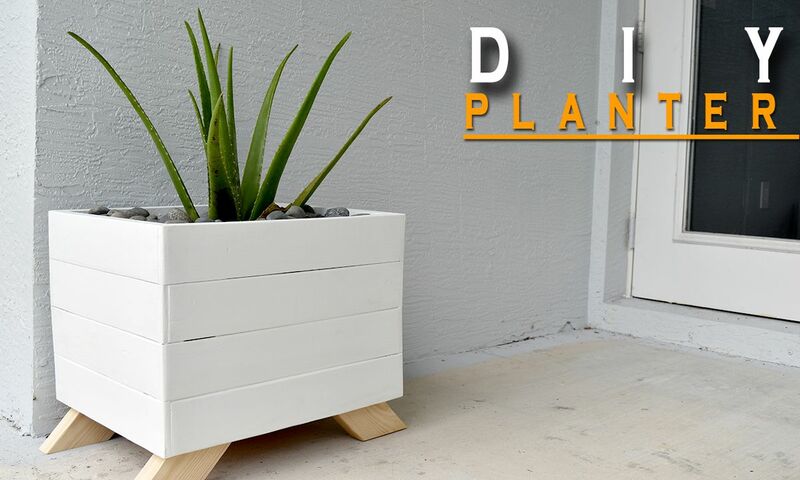 Check out this DIY planter box and let it inspire you. It has a simple and chic design and it can be customized in all sorts of fun ways. 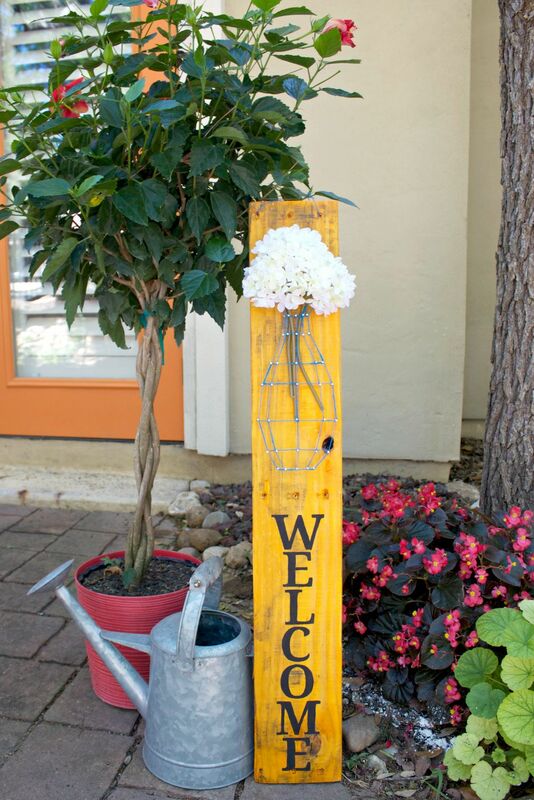 Speaking of easy pallet projects, you can use a single board to make a lovely welcome sign which you can display in your garden, front yard or near the entrance. 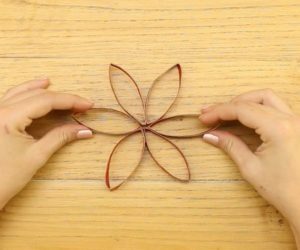 You can customize it with some nice-looking string art like this cute-looking vase. It’s a perfect project for a sunny Saturday afternoon. 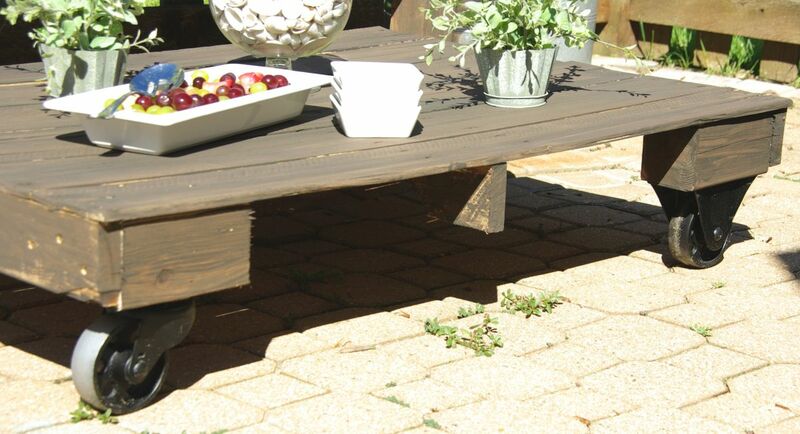 Let’s move on to some more complex projects, such as this pallet coffee table which seems perfect for the patio or the backyard. 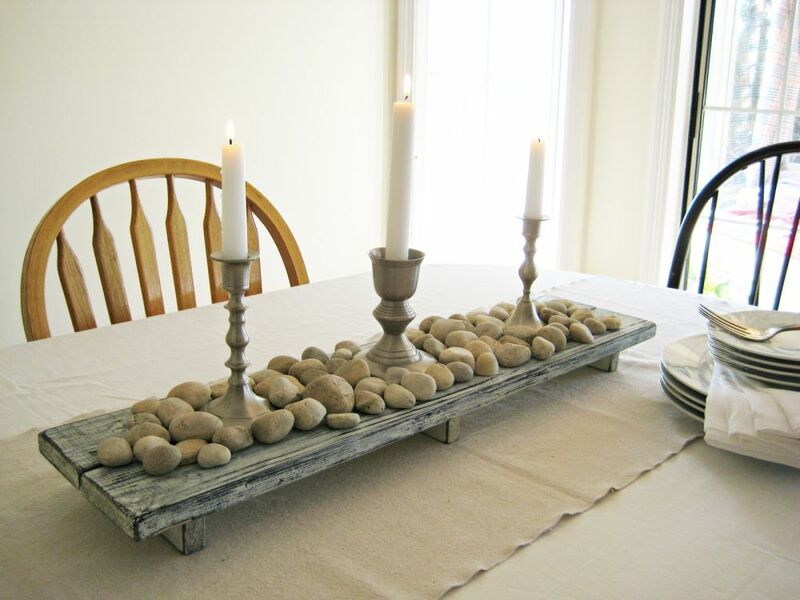 It’s still a very simple project any beginner DIYer could pull off. 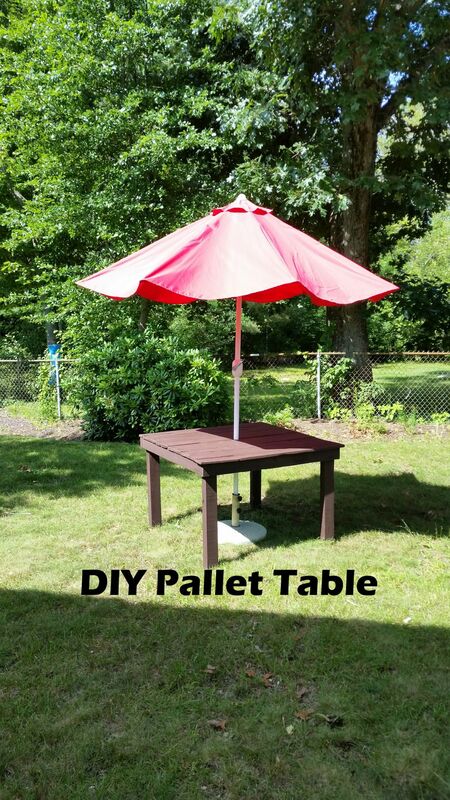 You only need to make minor modifications to the pallet in order to turn it into a table. Don’t forget the wheels. 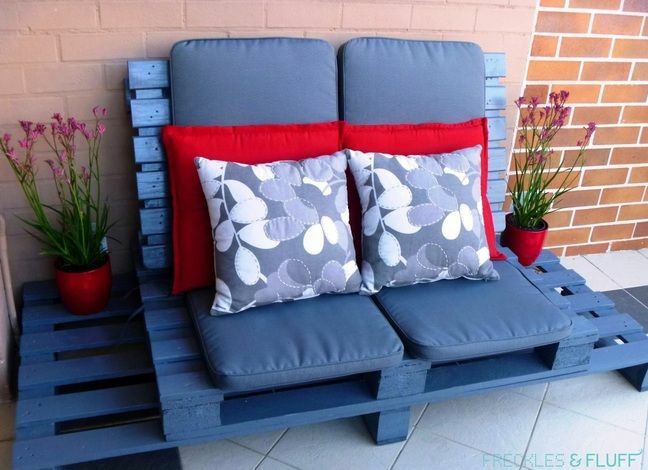 A pallet can also be turned into a bench. This project is a bit more time-consuming than others but definitely worth the effort. Just look how cheerful and beautiful this colorful garden bench is. It looks great against the fence and it doesn’t need a backrest. In a lot of cases, you actually have to take apart the pallet and use the boards to make something completely different. 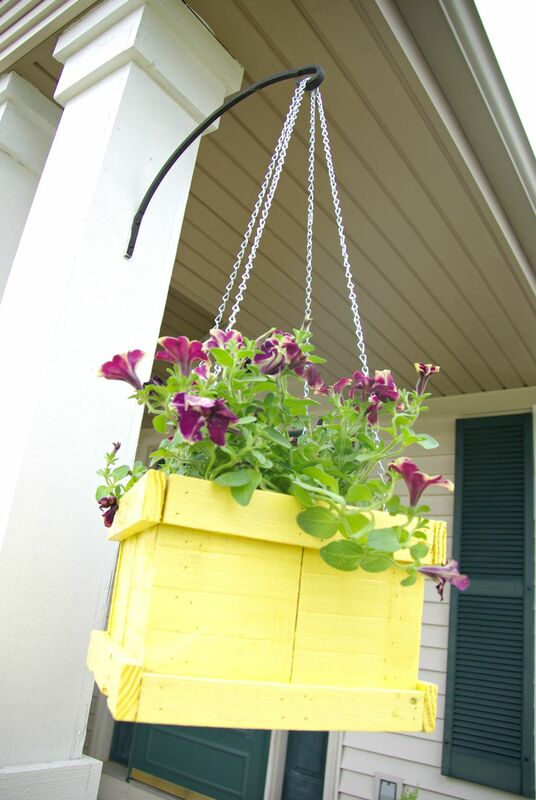 A good example could be this wood pallet hanging planter. 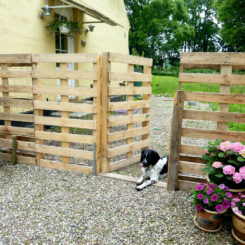 You can just as well make one out of leftover wood from other projects but a pallet would work just as well and would actually make things easier. 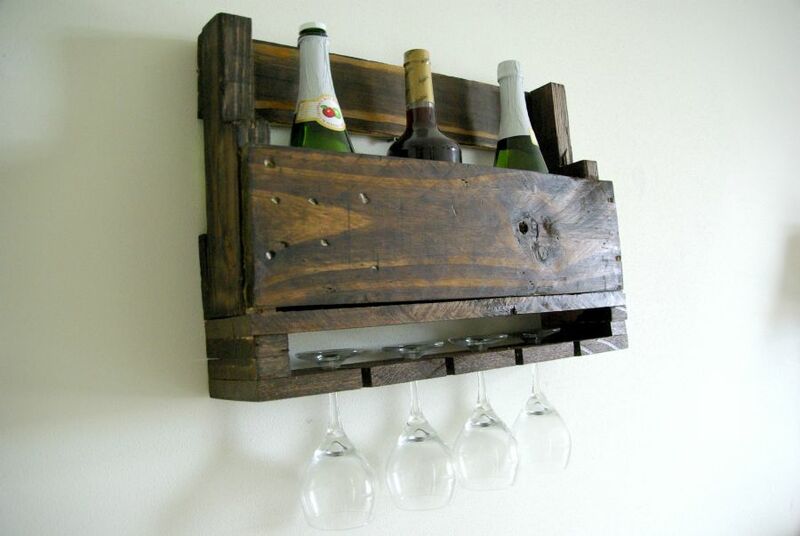 You don’t need an entire pallet to make one of these wall-mounted wine racks. Such a rack would be a nice addition to any home and would save you a lot of money, considering how expensive these things usually are. 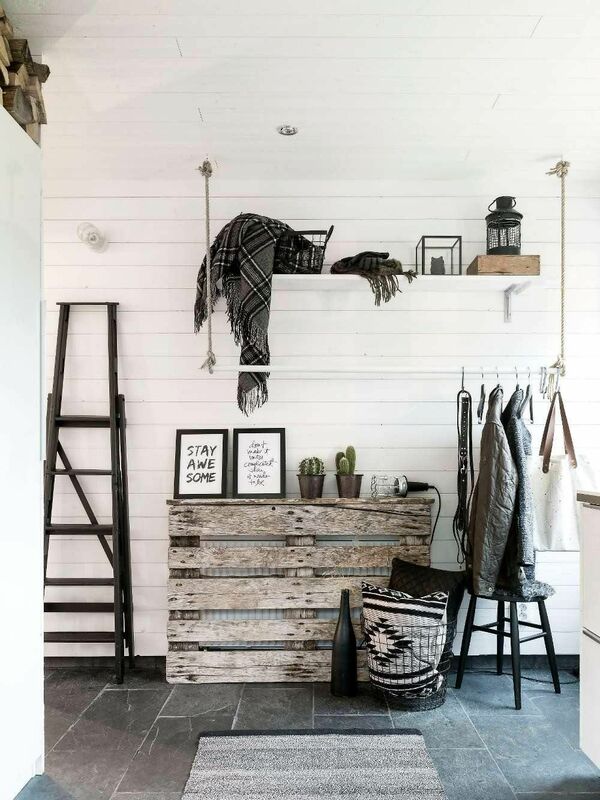 The project is perfect if you like the rustic look of reclaimed wood. 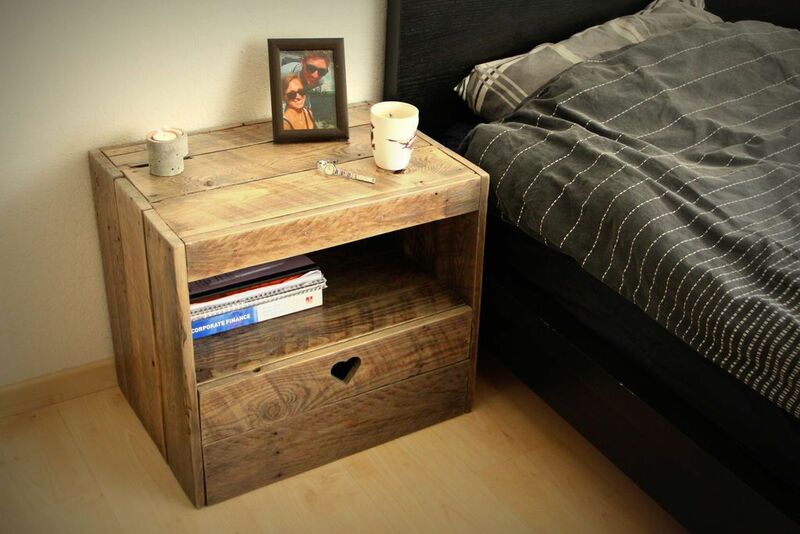 You can also turn pallets into actual furniture for your home. 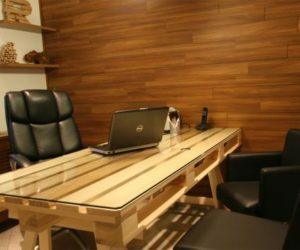 For example, you could make a pallet table with hairpin legs which would look nice in a casual living room settings or perhaps in your home office, on the balcony, etc. It’s easy to make and easy to personalize with your choice of wood stain or paint color. A pallet (or actually just a section of one) can also be turned into one of these little storage things which you can use to keep all those wrapping paper rolls nice and organized, finally. Making pallet storage shelving is easy and the design doesn’t need to be complicated or perfect. It just needs to be made with love. Speaking of pallet storage shelving, check out this great organizer for tools and related accessories. 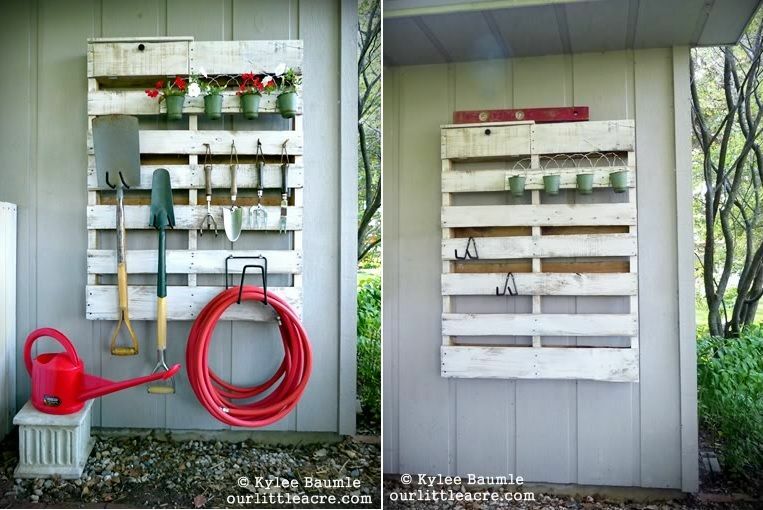 It’s a great wood pallet project for the garage or workshop which you can complete for close to nothing. You don’t even need to stain or paint the wood. Just let its character take over the design. Find out more about this project on . 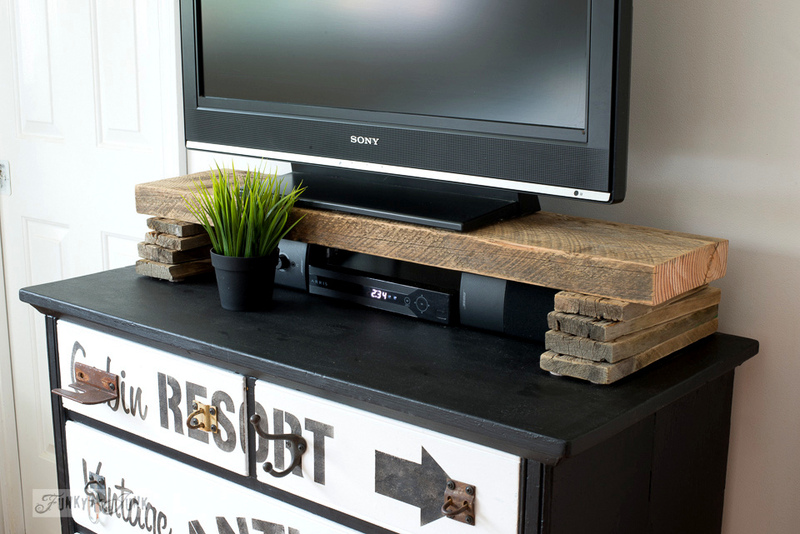 Another super simple pallet project idea shared on is this TV stand and dresser combo. 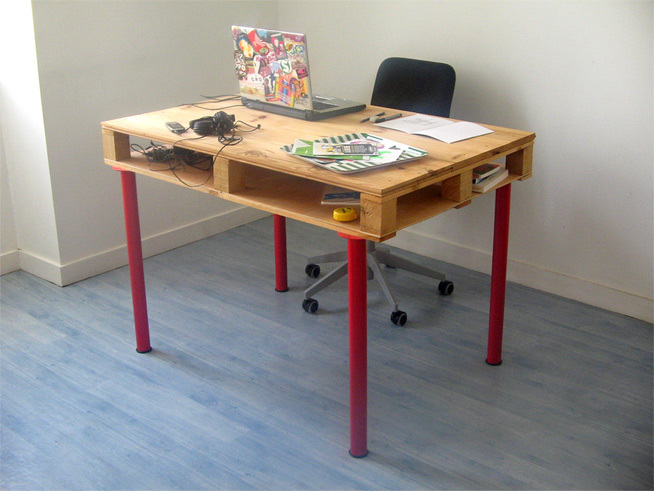 The stand is made of reclaimed wood which can easily come from a pallet. You can put together something like this in just a few minutes. You can embrace the casual and rustic look or you can polish up the design in any way you want. 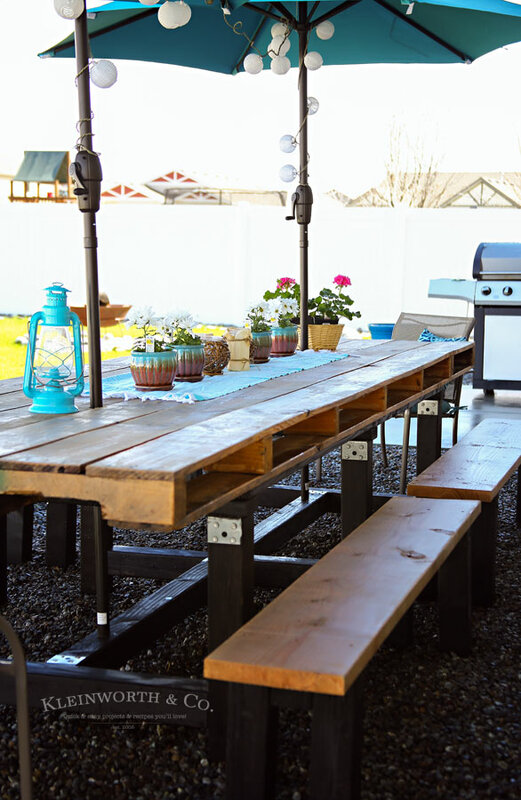 Of course, there’s also the possibility of using more than one pallet to create something more massive, like a big outdoor dining table such as the one featured on . Three pallets should be just enough for a table like this one but of course the number can differ if you prefer a smaller or a larger table. 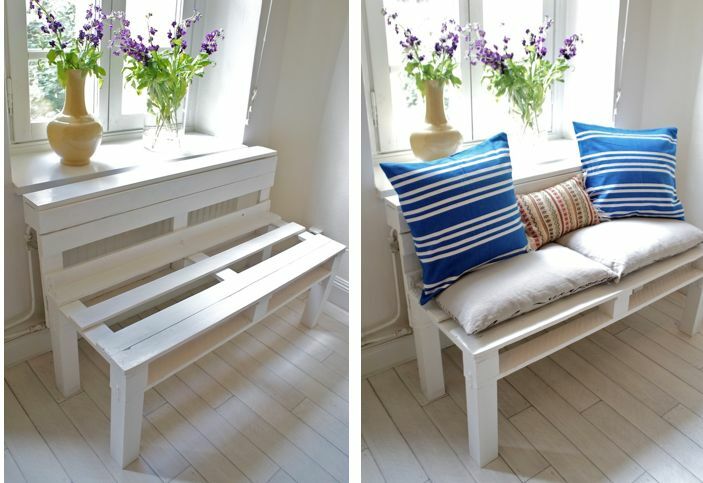 You can also use some pallet wood to make matching benches. 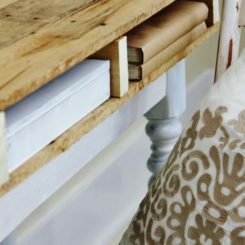 Another cool thing you can do out of a reclaimed pallet is a coffee bar/ console table such as the one featured on . 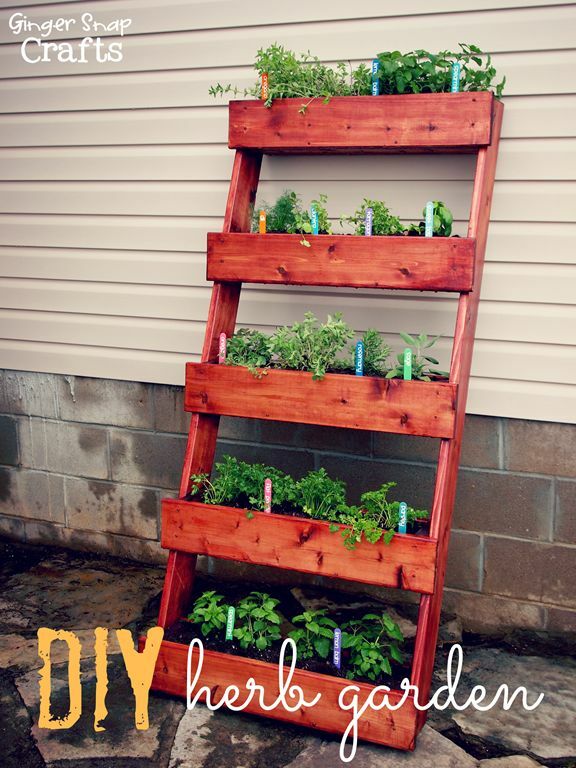 For this project you need two pallets and a piece of wood for the top. Some paint can also come in handy if you want to personalize your design. 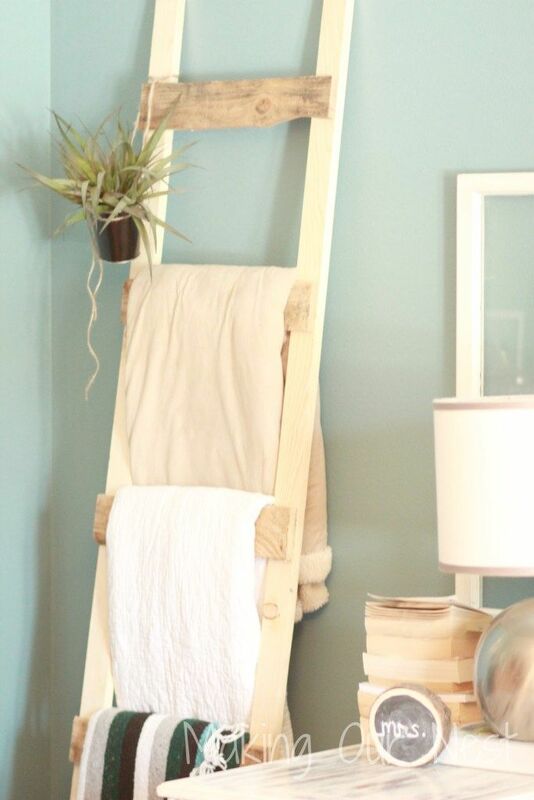 You can even use pallets to make projects you probably never even thought of, like a blanket ladder. In case you’re wondering what that is, it’s a ladder for blankets which you can casually rest against the wall next to your bed, in case you need a cozy extra blanket at night. Check out to find out everything you need to know about this pallet project. 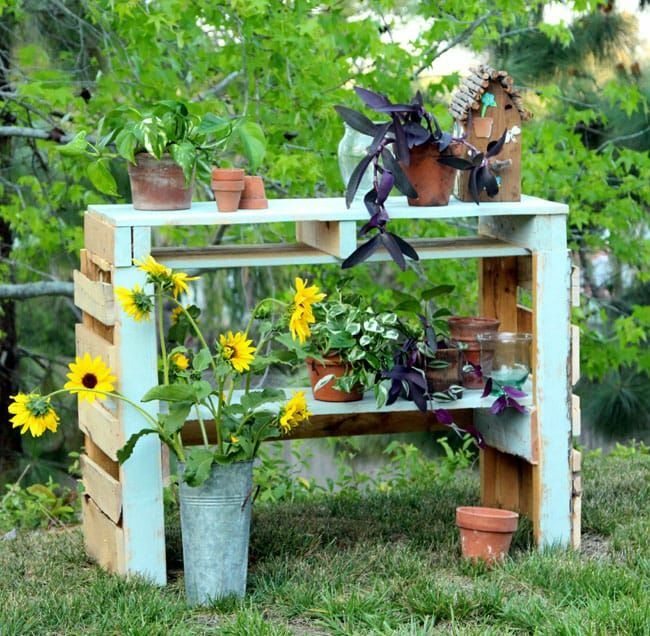 For the garden, you can turn pallets into cute and also useful things like this lovely potting bench that we found on . It’s easy to put together and at the end you can paint the table green so it blends in more easily. The shelf is a nice little feature and you can add more than one if it suits your garden and needs. 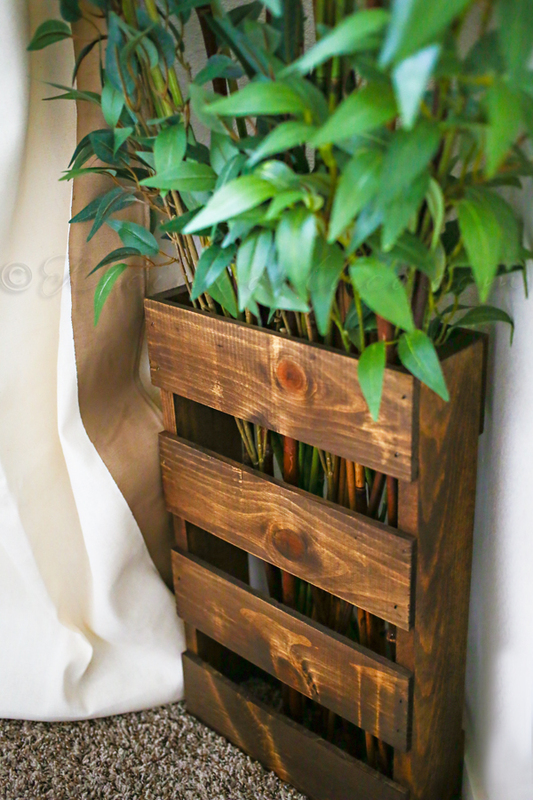 A mini pallet (yes, there are mini pallets) would be great for a lot of cool projects, including this cute bamboo holder/ decor piece. It’s an idea that we found on and which doesn’t involve a lot of supplies and doesn’t require a lot of effort from your part. 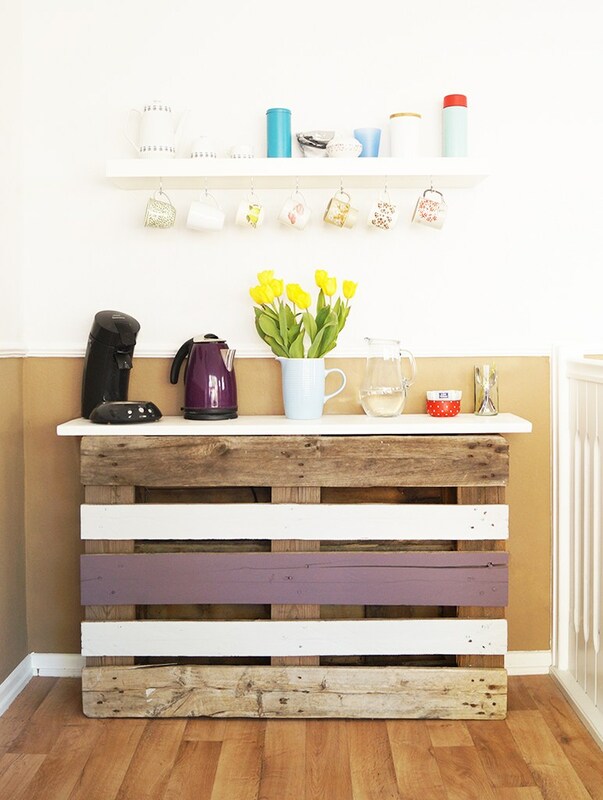 It’s the perfect pallet project for DIY beginners. A bedroom is not complete without a nightstand so if you’re in need of one this just might be the perfect wood pallet project for you. You can find out all the details and a list of required supplies on but as you can see it’s all pretty simple and straightforward. 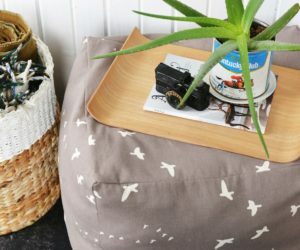 A wood pallet can also be turned into a display frame/ shelving unit for things like photos, tiny planters, collectibles and other items that you might want to put on display on the walls of your home. The transformation from pallet to wall-mounted display piece is actually fairly easy and you can find out all about it on . 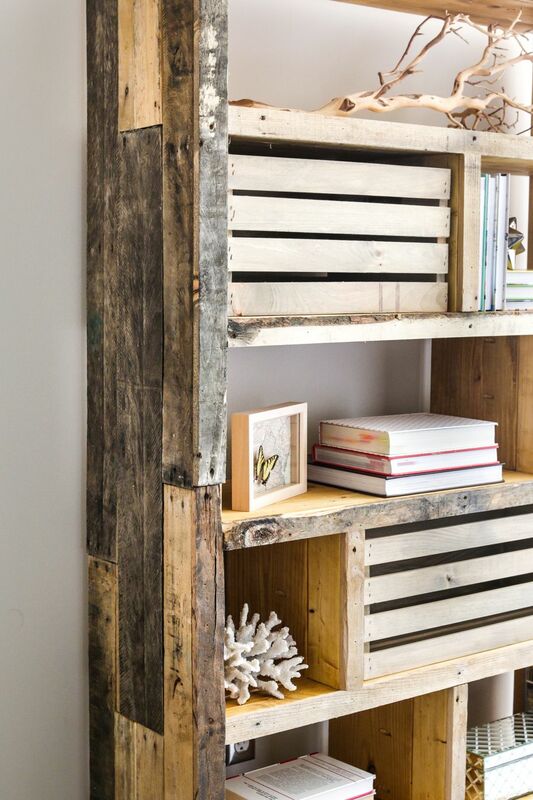 Speaking of ways to display reclaimed pallet on walls, how about an actual wall covered entirely in pallet wood? A pallet wall can actually look beautiful in spaces like the bedroom, home office or even the dining room or living area. 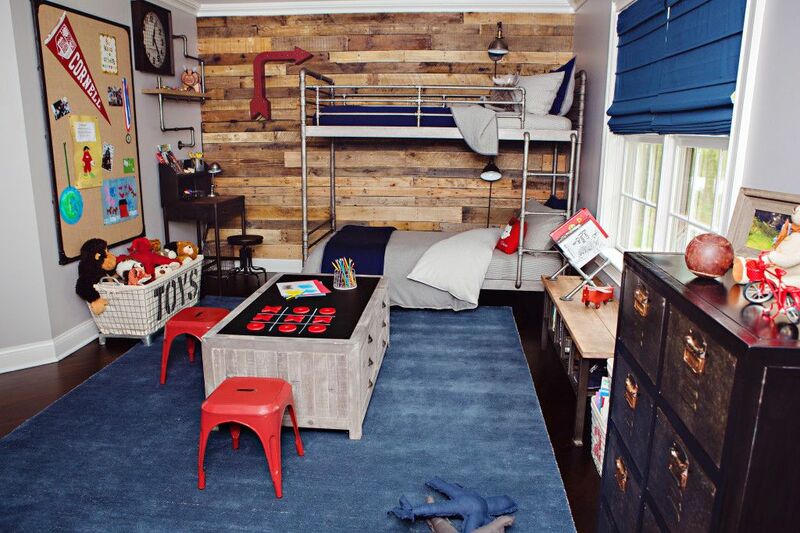 You can mix and match boards from different pallets to give the wall a sort of patchwork-inspired look. This awesome idea comes from . 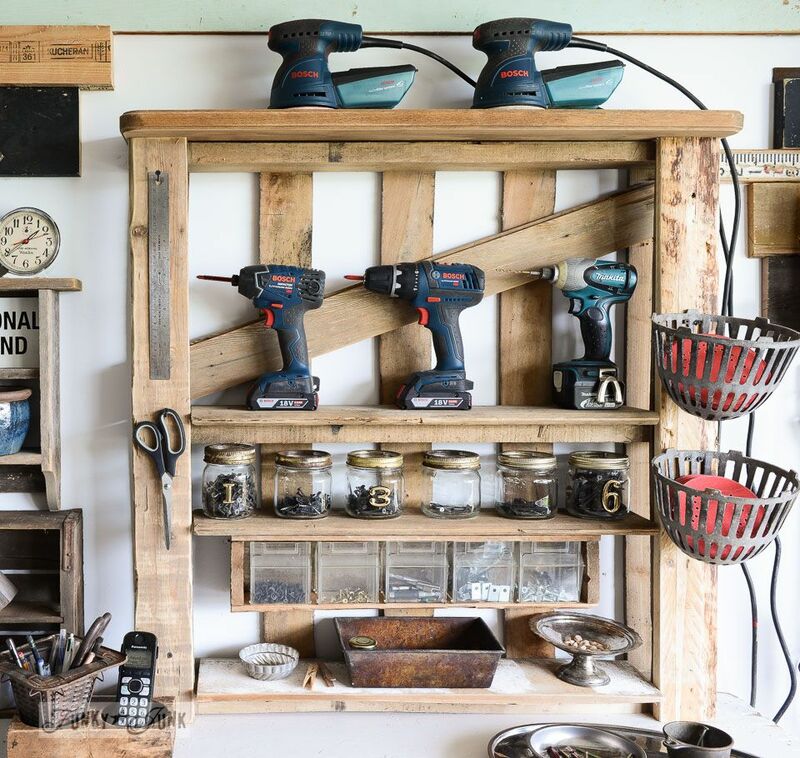 If you have a garden shed or a garage, you could take this opportunity to make a cool organizer for all your tools and accessories. 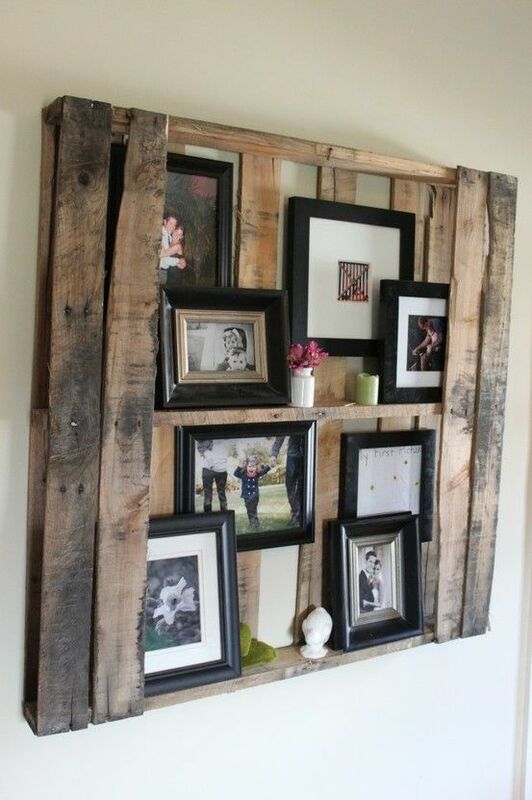 You can make one out of a reclaimed pallet without actually modifying the original structure too much. Just a few changes here and there and you can have this done in no time. 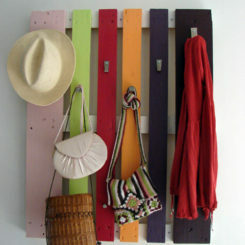 Find out more details about this pallet project on . 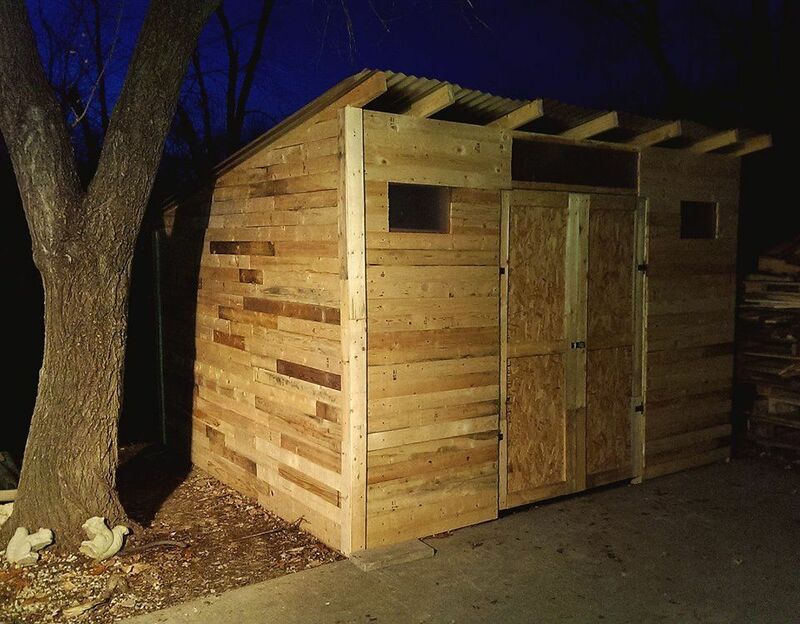 If you can find enough pallets, you might even be able to build an entire shed out of them. 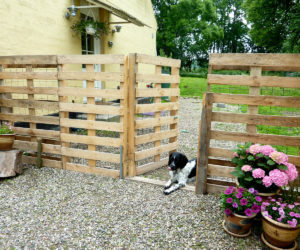 Obviously you’ll need a lot of pallets and this won’t be a very easy project but it’s an awesome idea worth exploring, especially if you want to save some money or if you want your shed to be eco-friendly and made of recycled materials. 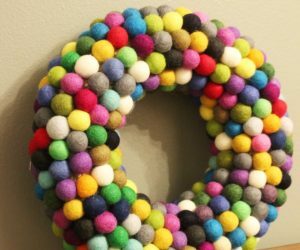 You can follow the tutorial shared on if you want to turn this into your next DIY project. 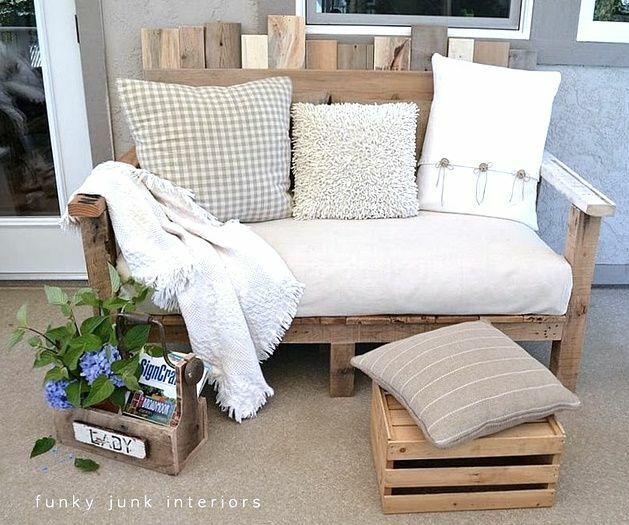 Let’s go back to some easier pallet projects, like this cool DIY sofa which you can make for your patio, sunroom, balcony or maybe your bedroom. 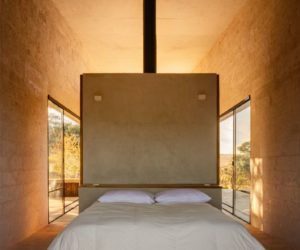 It’s designed to fit in front of the window and you can turn it into your favorite reading spot. Add some comfy pillows, maybe even a blanket and make the most of this idea. You can find details on . 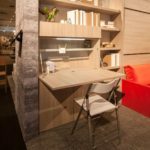 Are you looking for a new desk? Why don’t you build one yourself? 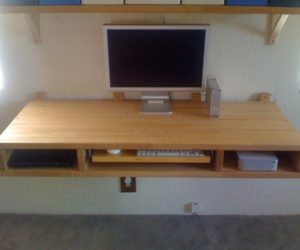 You can even use those built-in shelves as storage spaces for your laptop, cables, notebooks and other things so you can keep your work surface clean and clutter-free. In addition to a pallet, you’ll also need four table legs. Make sure you cut them down to size if they’re too tall, so your desk has just the right height. Check out for more details. With enough pallet wood and spare time you can even make a cool-looking armchair for your patio. Actually, this one might even look nice indoors if you give it some comfy cushions and maybe even a few coats of wood stain to freshen up the look. You can find out all about what it takes to build a pallet chair from this tutorial on . 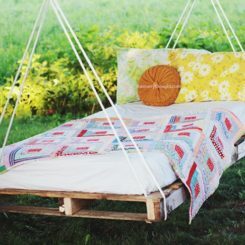 Similar to a pallet chair but easier to build and more fun to use, a pallet swing would be the perfect project for anyone with a garden or a backyard. 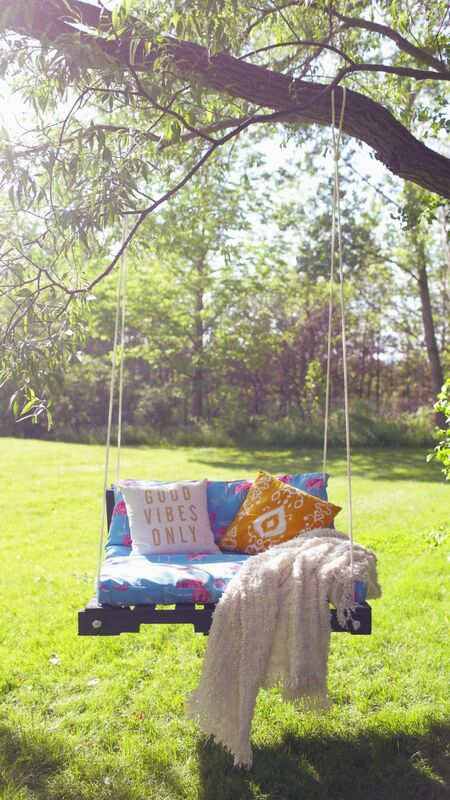 Of course, it would be nice to also have a big tree from which to hang the swing but if not you can definitely find other solutions. Check out for details. 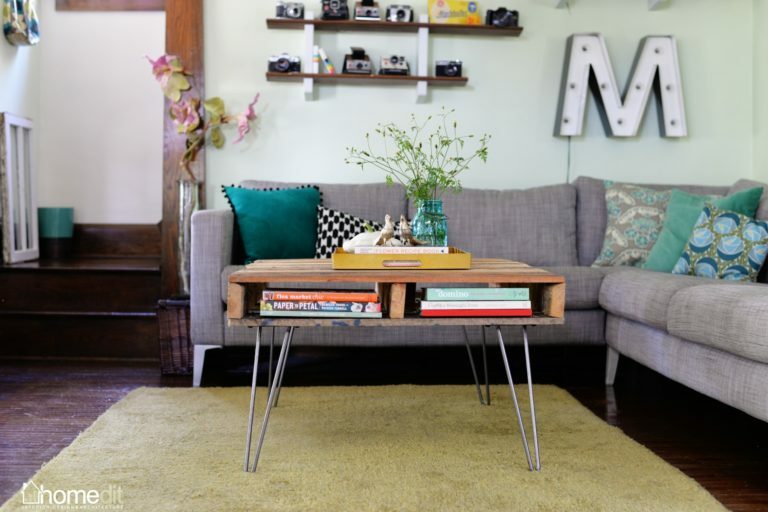 This pallet coffee table looks super stylish and modern which proves how much potential all these pallet projects have. 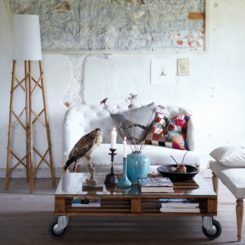 You could easily take this table indoors and put it in the living room and it would look just as lovely. If you’re interested in building your own coffee table out of reclaimed pallets, you can find out more about the project on . 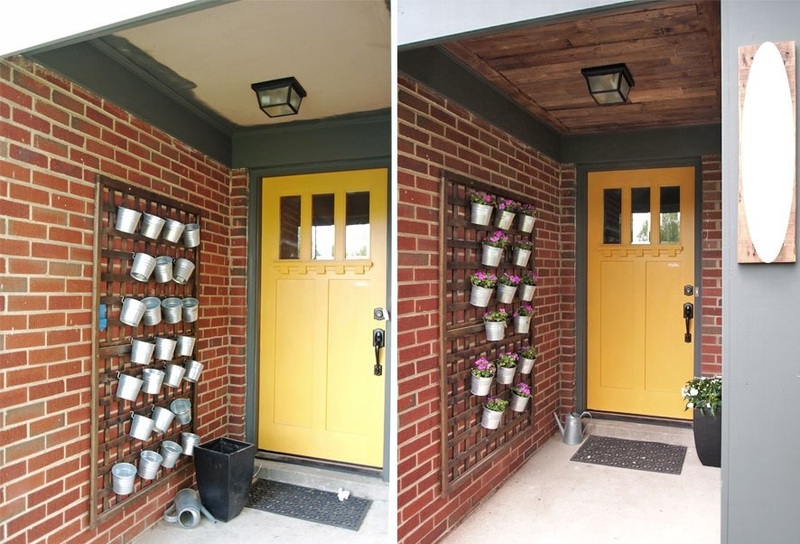 Growing plants indoors can be very fun and rewarding but all those pots take up space so a vertical pallet garden makes a lot of sense, especially for small homes. They’re great not just because they let you save space but also because they let you organize and display the plants in a nice way. Check out how easy it is to make a hanging pallet garden. It’s all described in detail on . 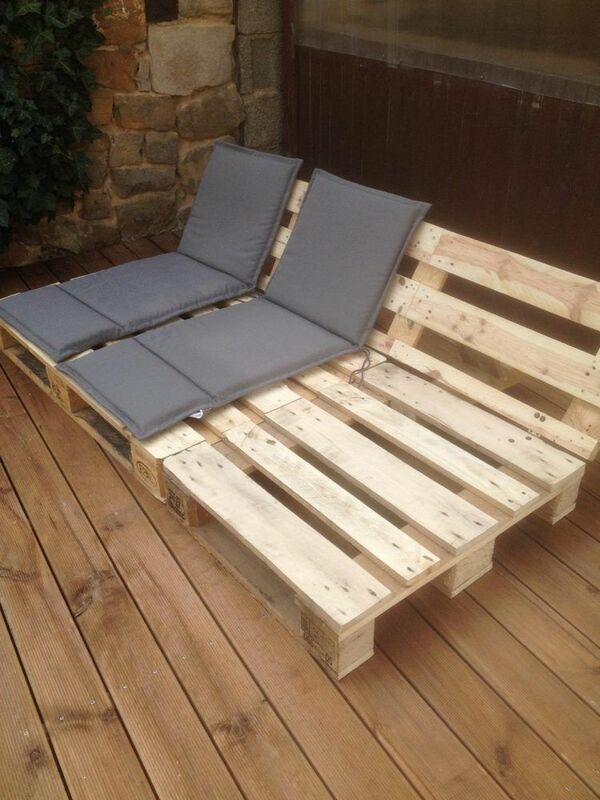 A few pallets can go a long way, especially if you plan on building some patio furniture. This project can save you a lot of money it’s nice that you can customize it however you see fit. The instructions can be found on and you can use as guidelines if you want to change the proportions and even the design a little bit. 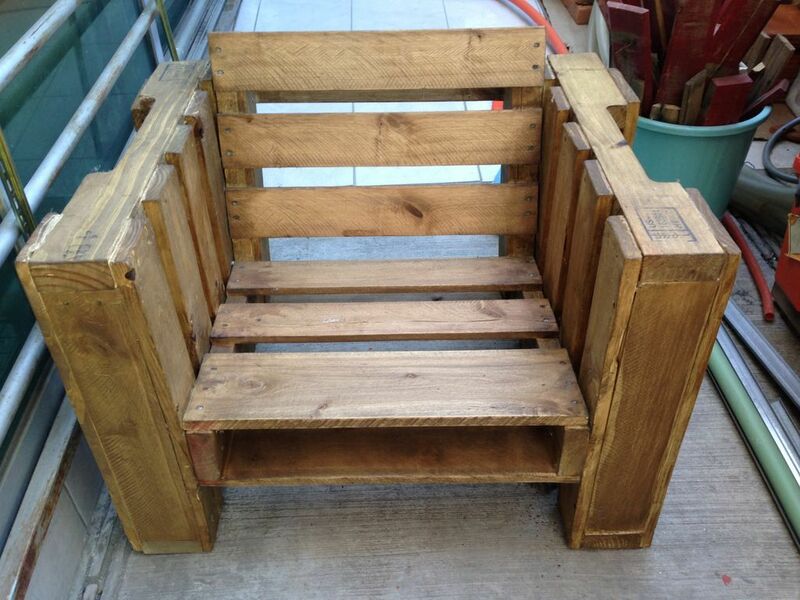 Speaking of patio furniture, just look how nice this pallet wood sofa is. 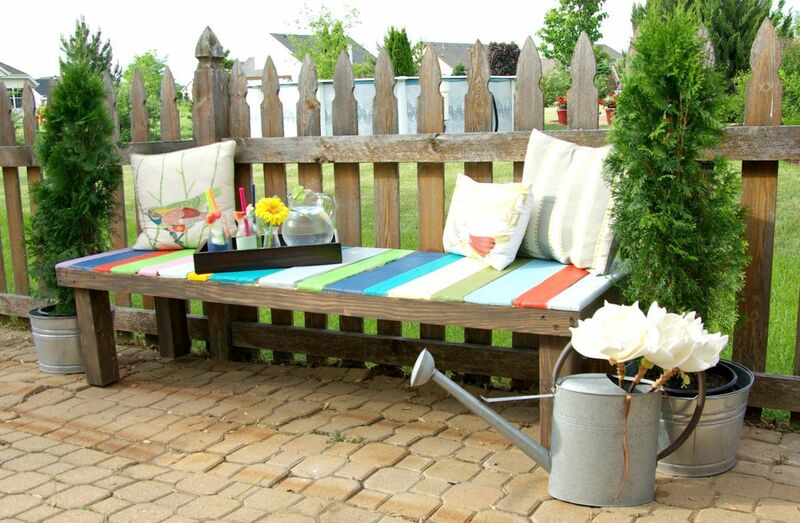 It’s a perfect example of DIY outdoor furniture that has not just looks but also lots of character. If you already have a mattress or some cushions that you’d like to use, you can build your sofa around those, adjusting the dimensions mentioned on . It’s not that vertical planter rack that we want to emphasize here, even though that looks nice too. It’s actually the ceiling that’s the interesting part because it’s made of pallet wood. It’s one of the many improvements you can make so your entryway or patio can look more welcoming and beautiful. If you like the idea, check out for more details. 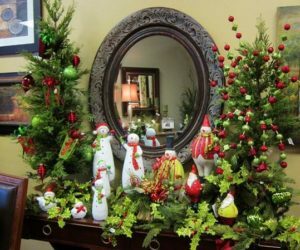 Looking for a way to make your entryway more welcoming and functional? 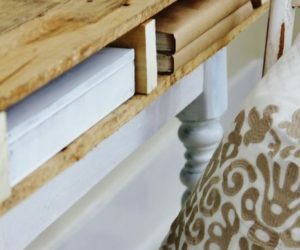 How about a pallet console table/ narrow shelf so you can display a few things on it like a vase, a small planter, a framed photo or two or anything else you see fit? 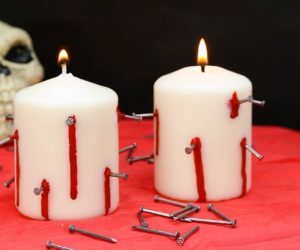 It’s easy to make and it costs almost nothing. The idea comes from . If you want to you can stain the pallet or you can paint it, although the worn finish suits it nicely too and gives it lots of character. 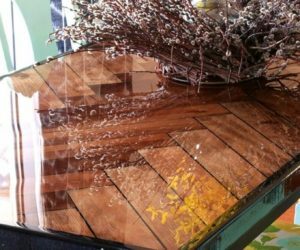 Reclaimed pallet wood can also be used to make custom backsplashes. This can be a nice way to add warmth to the kitchen and even the bathroom but means you’ll have to be extra careful and to seal the wood to make it resistant to water and moisture in general. 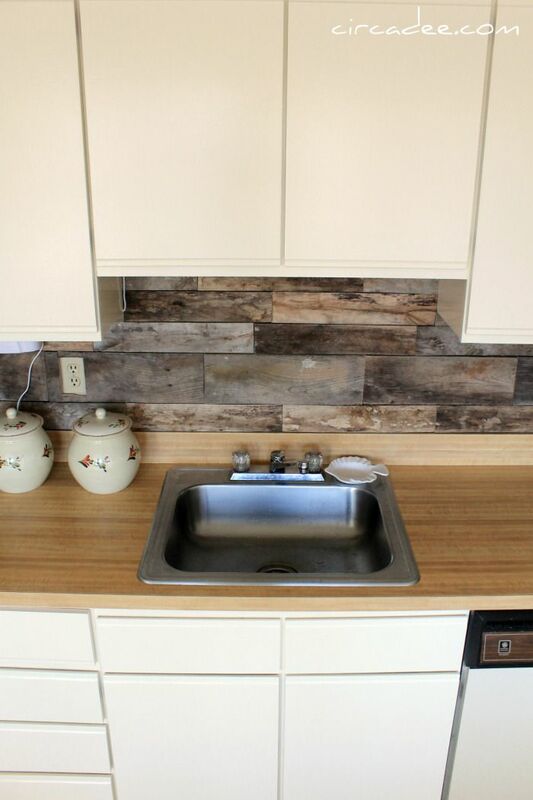 Find out more about how you can make a pallet wood backsplash on . We mentioned before that you can use pallet wood to build shelves and storage units but we didn’t actually show you a finished product. 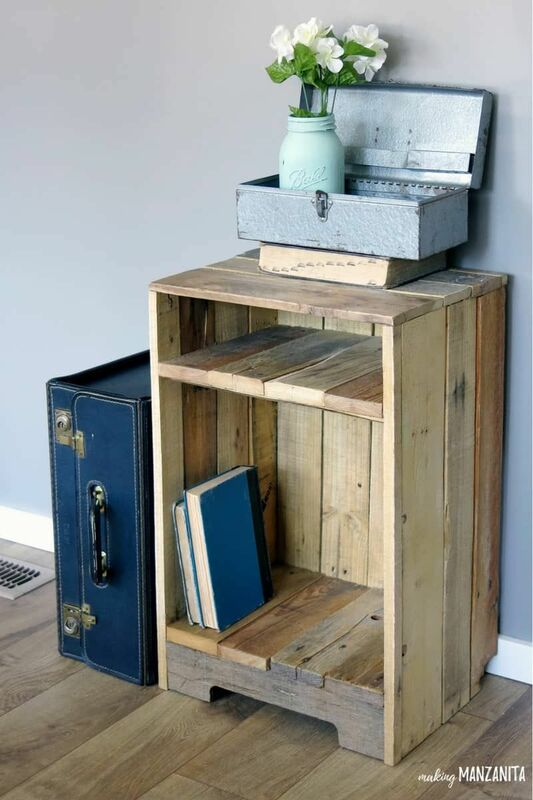 Here’s a reclaimed pallet bookshelf that seems to have it all. You can build your own version following the instructions offered on . The more pallets you have, the bigger the structure you can build with them. If you have enough pallets with the right proportions, you can build an entire bed frame, headboard included. It’s sort of like building a platform and there’s surprisingly little effort involved. You might not even have to cut odd sections of the pallets. Just make the most of the circumstances. You can find more details about this project on . Just look at this adorable reading nook…how cozy it looks. You can have something similar in your home and an empty room corner would be perfect for that. 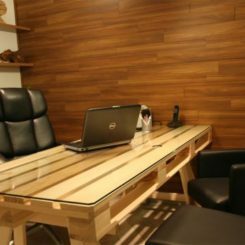 It wouldn’t be an expensive project since you’ll be using pallet wood and some basic tools. This lovely idea comes from . 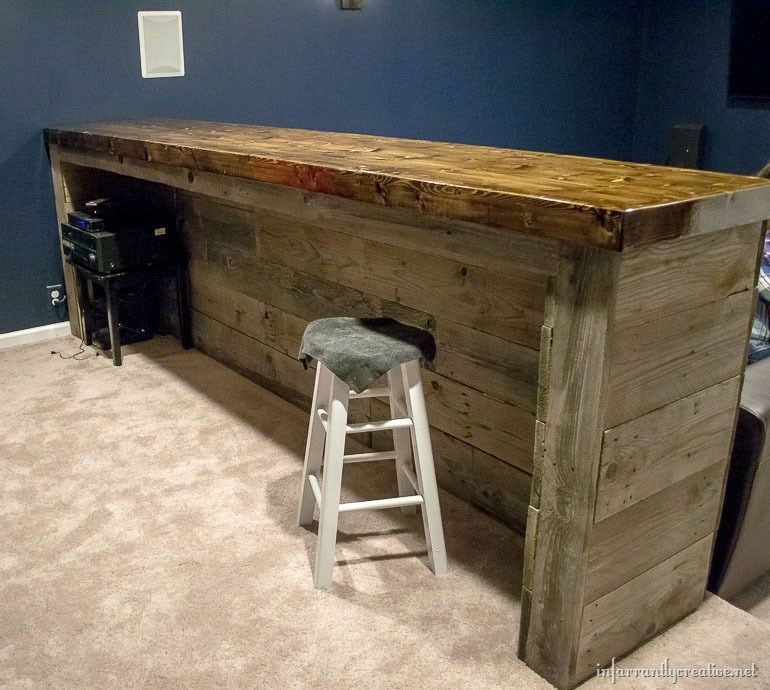 A lot of pallet projects have this ruggedness to them which works out well if you wanted a rustic decor anyway or if you plan on building something for the garage or the basement, something like this pallet bar which would be perfect for a man cave. A rugged look suits it perfectly and gives it a ton of character. Check out for more details. Just because you have an entire pallet doesn’t mean you have to use the whole thing. 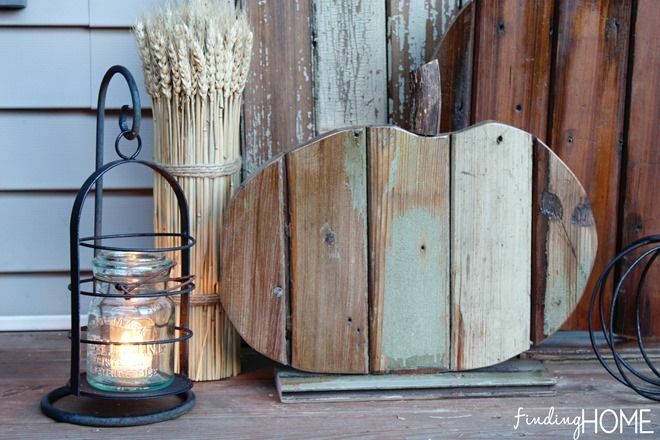 You can find a lot of cool project ideas that only require one or two boards, like this farmhouse centerpiece featured on . It’s a very simple project and it’s also super versatile. 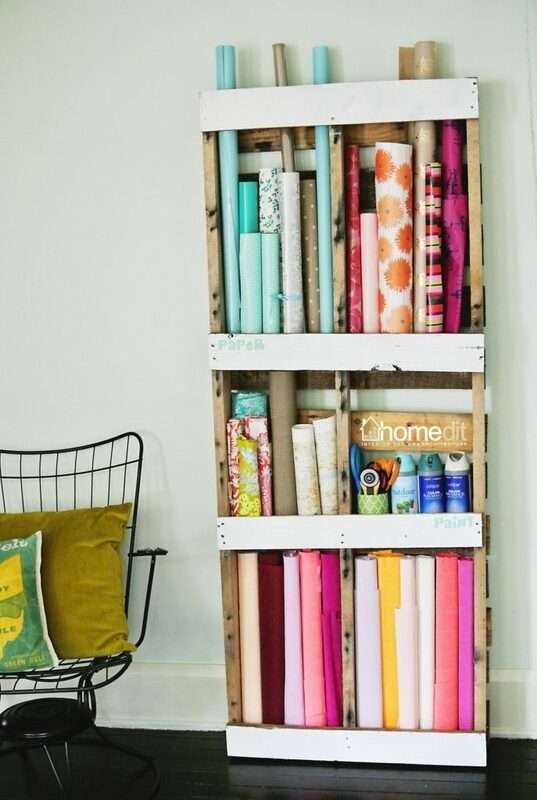 With so many creative pallet projects and ideas, there’s something for every room. 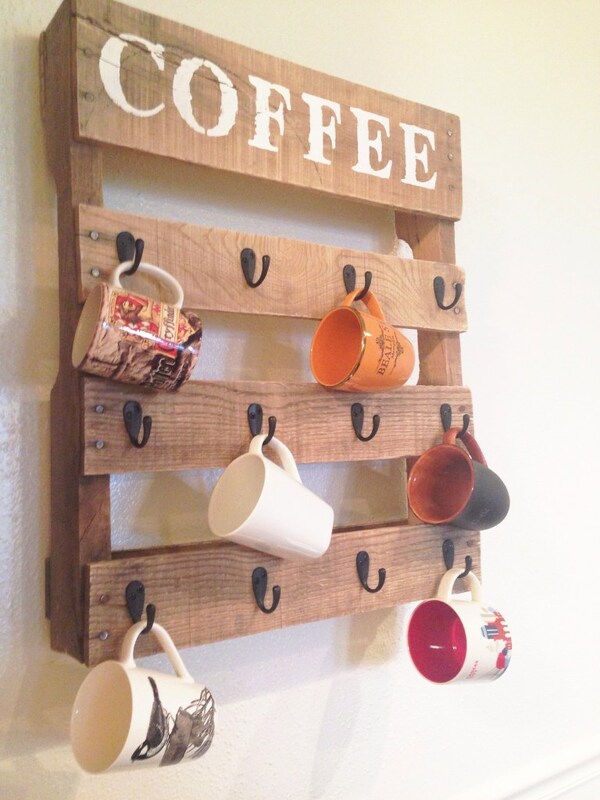 For the kitchen, for example, you could make a cup holder like the one featured on . This is more or less a simplified version of a pallet, with a bunch of hooks on it. 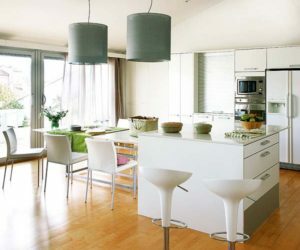 It’s cute-looking and very practical it also helps you save a lot of space. Pallet wood is a great resource for all sorts of DIY projects and part of that is because it has character. The worn look is a very desirable detail in a lot of cases. 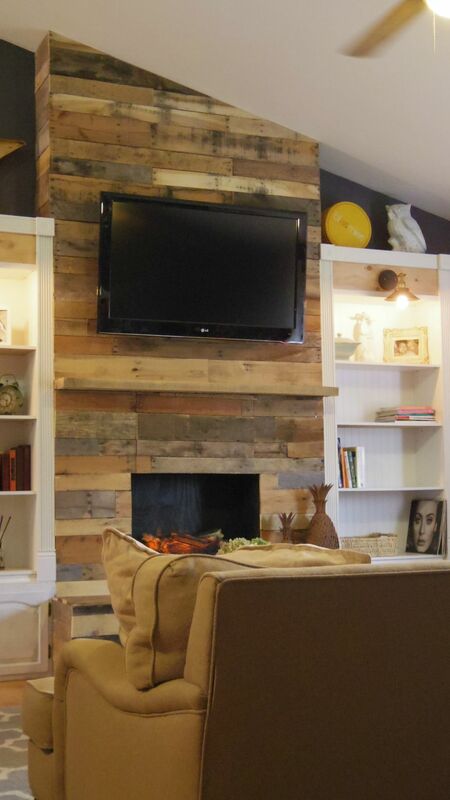 For example, look how beautiful this pallet wood fireplace surround is. All the different boards with different colors and finishes create a unique pattern and turn this wall section into a wonderful focal point for the entire room. The inspiration for this idea comes from . 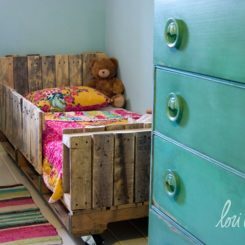 A lot of wood pallet projects focus on small things and accept pieces, the kind that we don’t usually want to invest a lot in and that a lot of homes lack. A good example is this bar cart from . 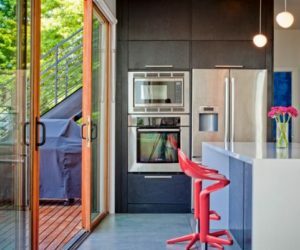 It has wheels so it’s easy to move around the house and the design is also great because it provides plenty of storage space. 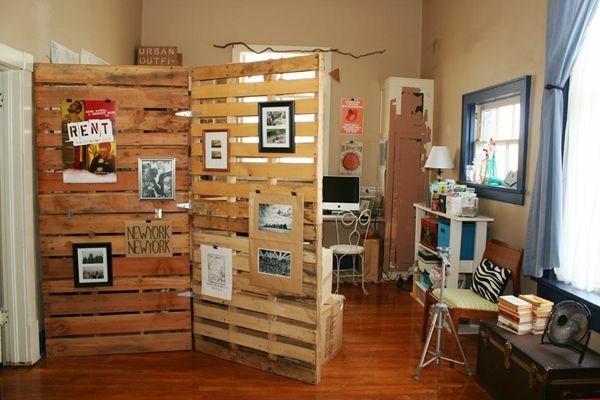 If you think your home could use some space dividers, you can use pallets for that too. 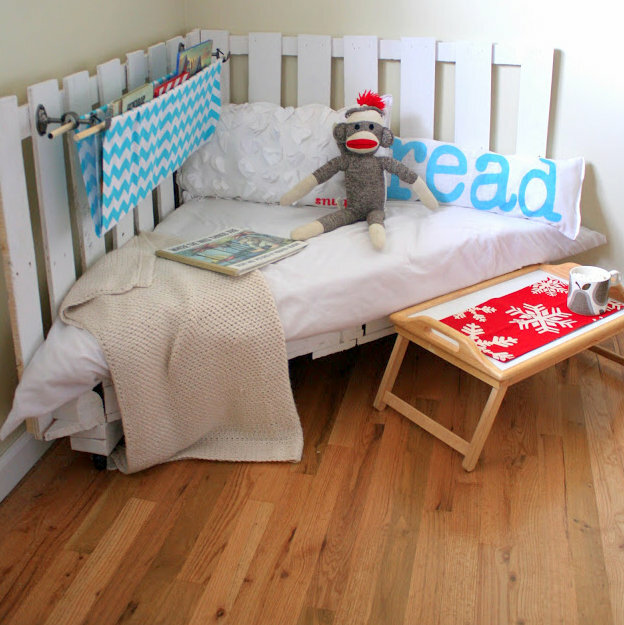 Check out this pallet room divider project on so you can get an idea of how this can turn out. A nice little detail is that you can hang posters, framed photos and other decorations on either side of the divider. 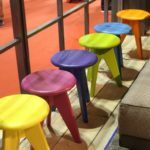 A project featured on describes how wooden pallets can be repurposed and turned into a comfortable and stylish-looking lounge set for the patio or backyard. 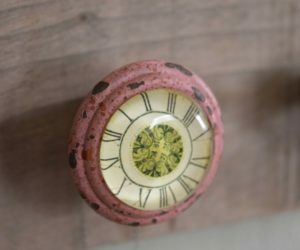 There are a lot of great ways to make this project your own by customizing it with your favorite paint color and even a nice pattern if you’re feeling extra creative. 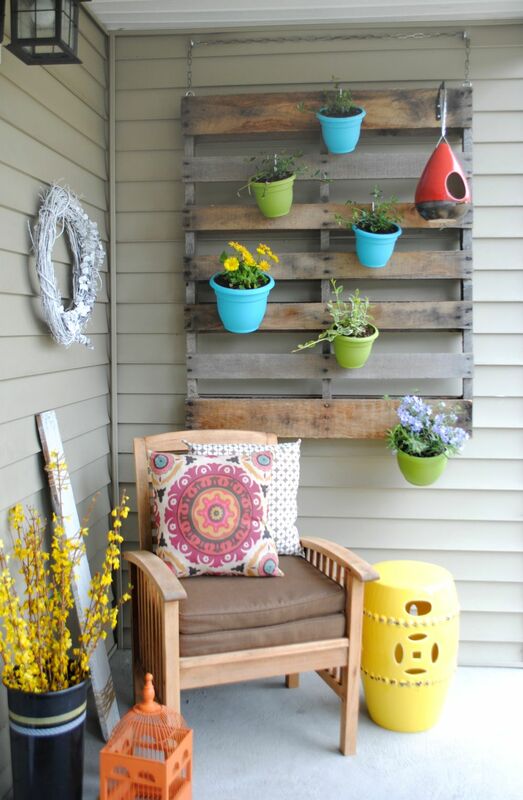 Pallet wood is a perfect resource for projects such as planters or vertical herb gardens and other things meant to be kept outside. Of course, you can also use regular, store-bought boards if you really prefer those. 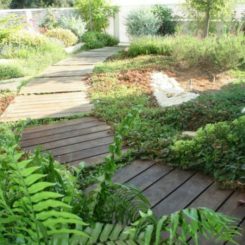 In any case, if you want to build your own herb garden you should check out . There’s a nice tutorial there describing the whole project in detail, from start to finish. How great would it be to have fresh delicious strawberries that you grow in your own backyard? You can make that happen right now. 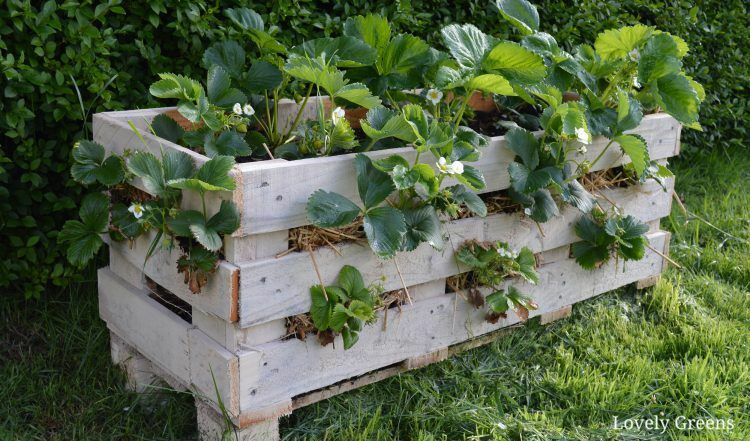 We suggest checking out this DIY strawberry pallet planter from . It’s easy to put together and practical you can easily relocate it if needed. When you’re done with some of your bigger pallet projects, if you still have some leftover wood you could do something small, like this cute pumpkin decoration which you can display on Halloween or simply as a fall ornament. With a little bit of paint you can make it stand out even more. Check out for details. 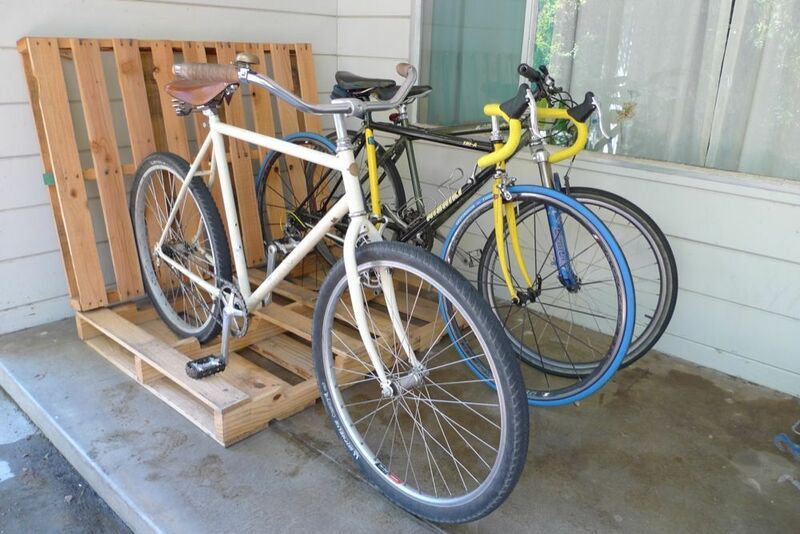 Two wood pallets are enough to make a simple bike rack. It’s not the most space-efficient or stylish solution but it’s one of the simplest and most cost-effective ones, especially if you have a garage or a terrace with some spare room so you can keep all your bikes there. If you only have a single bike, cut down the pallet to save space. 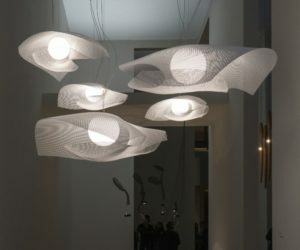 You can find the details of this project on . 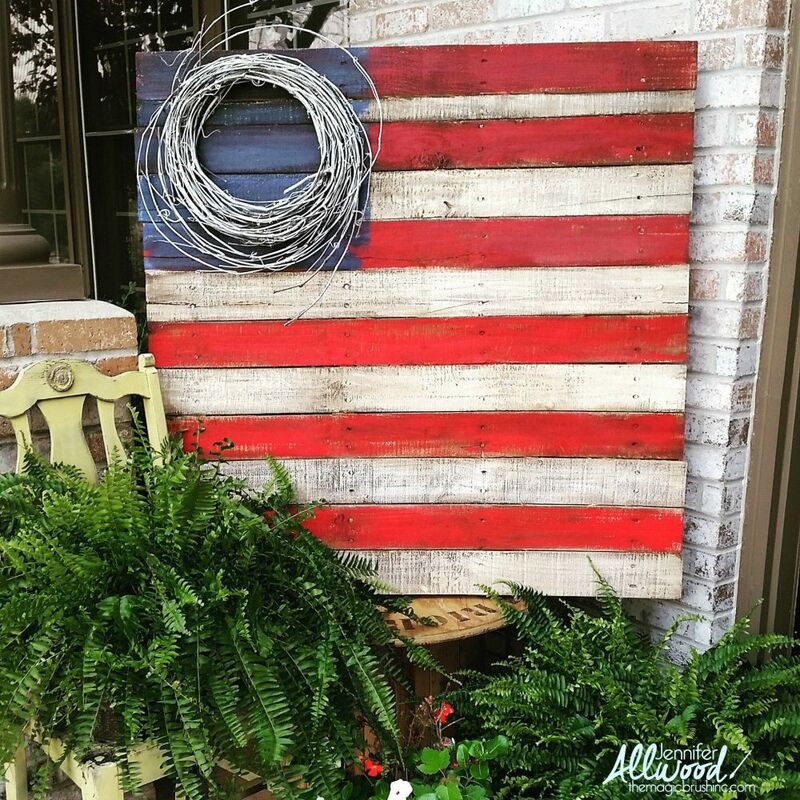 A wood pallet has just the right shape for you to turn it into a flag decoration for your yard, to celebrate the 4th of July in style. Of course, this project is not strictly restricted to any particular flag so feel free to paint yours in any color and pattern you want. Check out the details on . 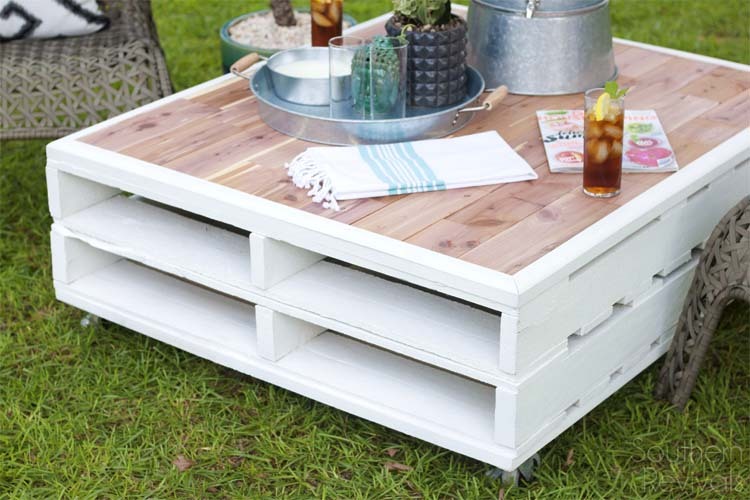 Another cool pallet project idea for the outdoors in this table featured on . It has a hole at the center for the umbrella pole to go through and that’s really a perfect combo. You can have this in the backyard, the garden or by the pool and create a cozy, shaded lounge space. Add more than one if you have the space. 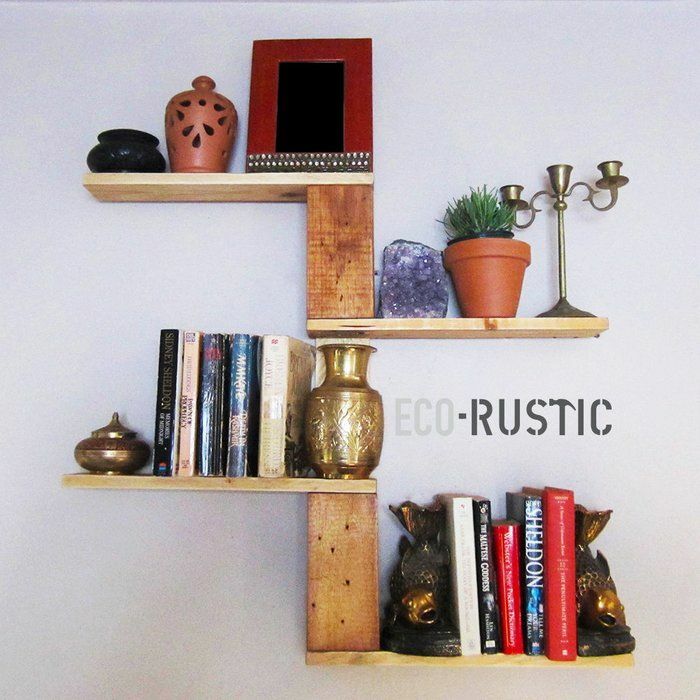 This chic little tree shelf is also made of reclaimed pallet wood and that actually gives it a lot of character in spite of its small size. 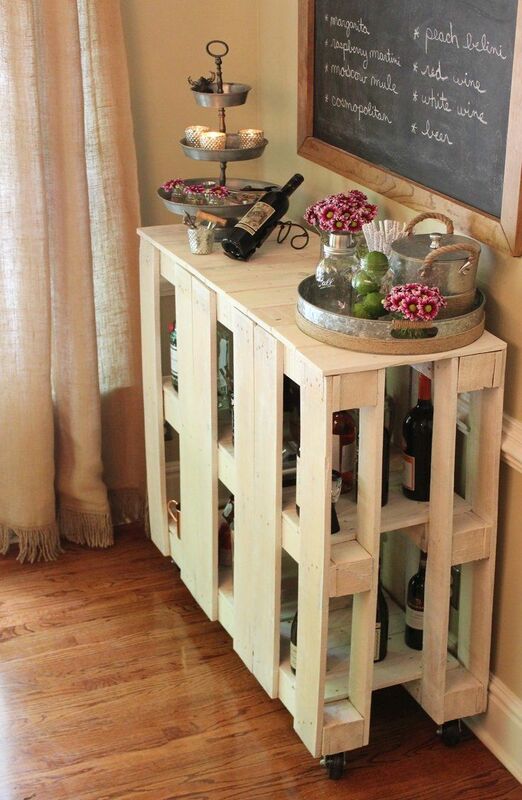 This also shows just how versatile pallets are and how you too can make useful things for your home out of them. If you’re interested in the details of this project, check out . 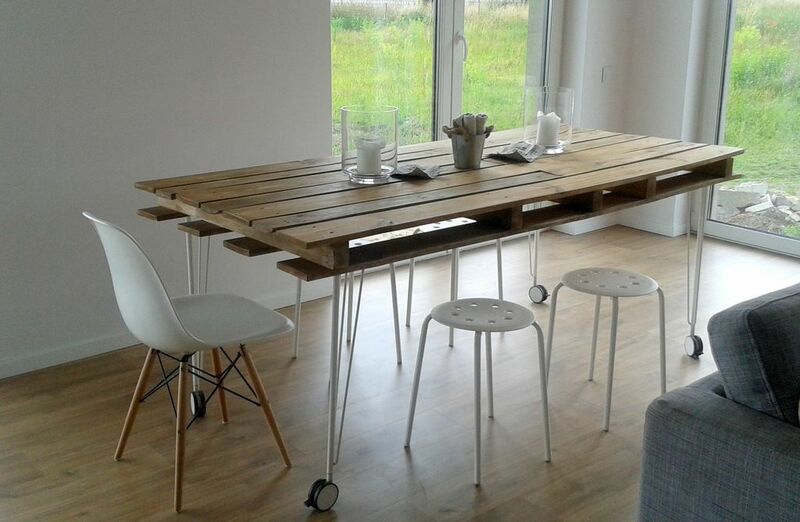 You’ve seen coffee tables made of pallet wood, but what about a dining table? Apart from the fact that it’s bigger and taller, there’s actually not much of a difference between these two pieces of furniture. With that in mind, check out this nice-looking table featured on . It has wheels which makes it easy to move it around if needed and a simple but charming look. If you’re in the mood for something smaller, this pallet side table seems just the right project for you. It has a lovely rustic appearance and a simple design it can successfully function as a nightstand or an accent table for a cozy reading nook. If you want to you can give it more shelves and even change its entire appearance with a few coats of paint. Find out more details about this project on . 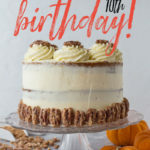 Happy 10th Birthday to Shumatsu Distortion!